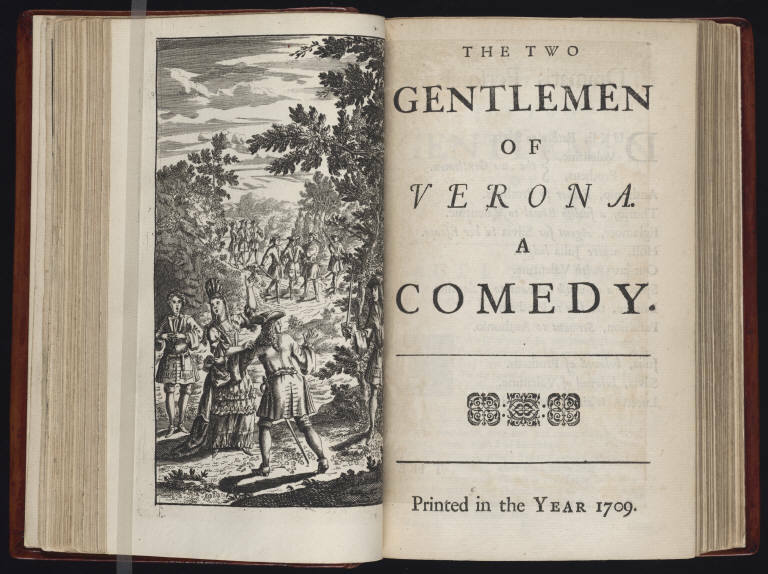 The increasing canonization of Shakespeare’s works brought with it an appetite and imagination for all things Shakespearean; we can think of the phenomenon of bardolatry, of worshiping Shakespeare in the manner David Garrick so loudly proclaimed himself to do, as one consequence of such an augmented popular desire for all things pertaining to Shakespeare. 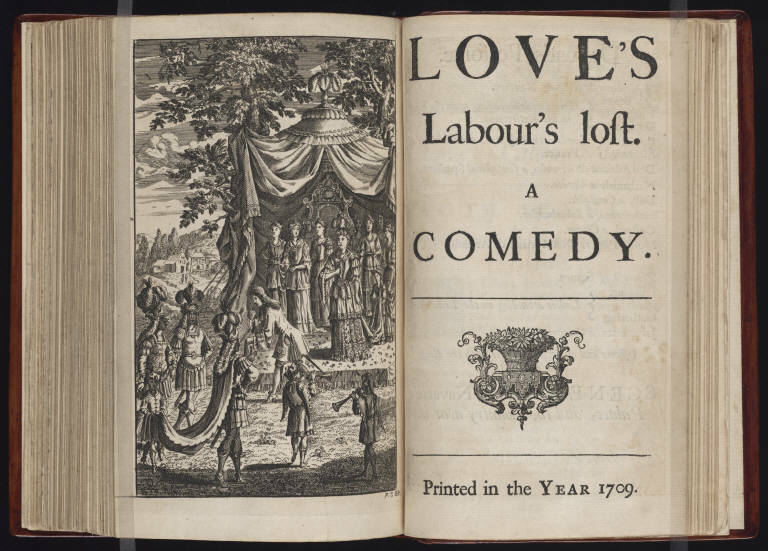 And we can think of the illustrated editions of Shakespeare’s works as another consequence of that desire–and an attempt, too, to satisfy it by giving those plays a readily accessible image of the plays’ fantastic expanses. 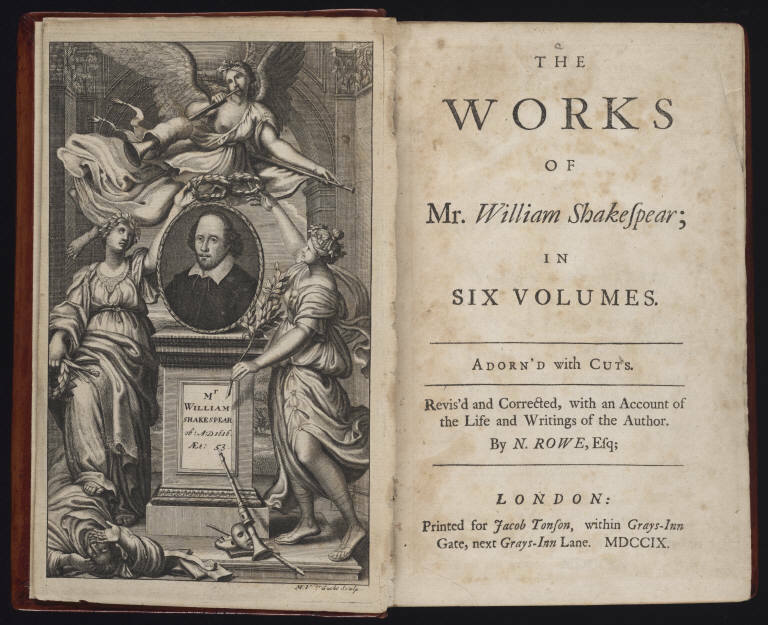 Pictured here are some engraved images from a 1709 edition of Shakespeare’s plays. 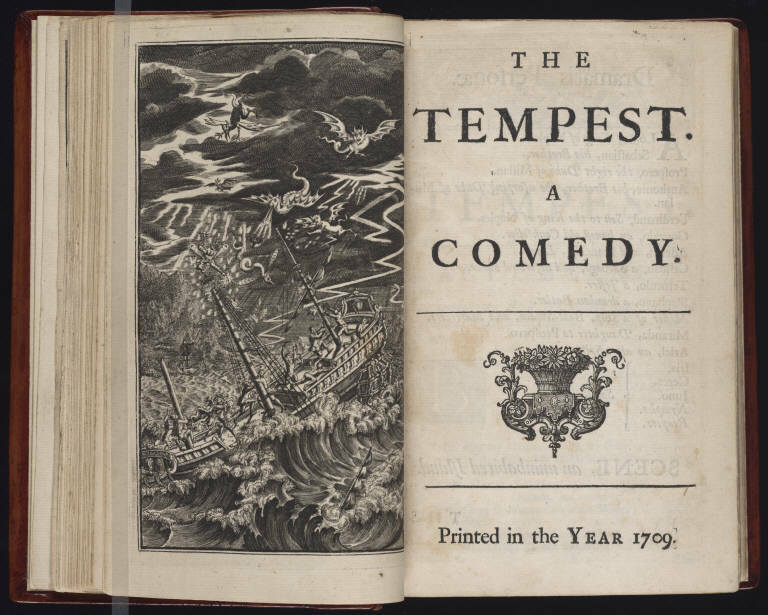 Worth noting are the ways each of these engravings–operating, in effect, as an eighteenth century versions of the modern book cover–depict great expanses of space, of forests and cities and oceans, that exceeded by far the locales that theater of the time could have hoped to represent. From the breadth of these engravings, we can surmise that Shakespeare, like Milton and Dante for Gustave Doré, excited the imagination of readers to ambitious degrees–and in ways that made them crave for some kind of visual representation. There is a crucial way, then, that these images offer a satisfaction to that desire, anchoring the plays to a vivid and visible domain; but even more crucial, perhaps, is that the visual excitement that these images work to generate and to satisfy at once is the consequence of a thoroughly non-visual experience–the experience of sitting down to read. 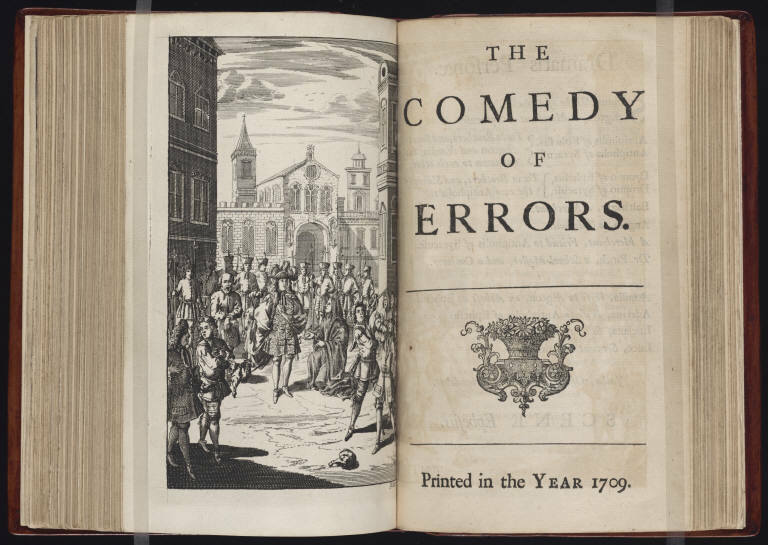 The illustration of Shakespeare, in other words, depends on the printing and reading of Shakespeare first.